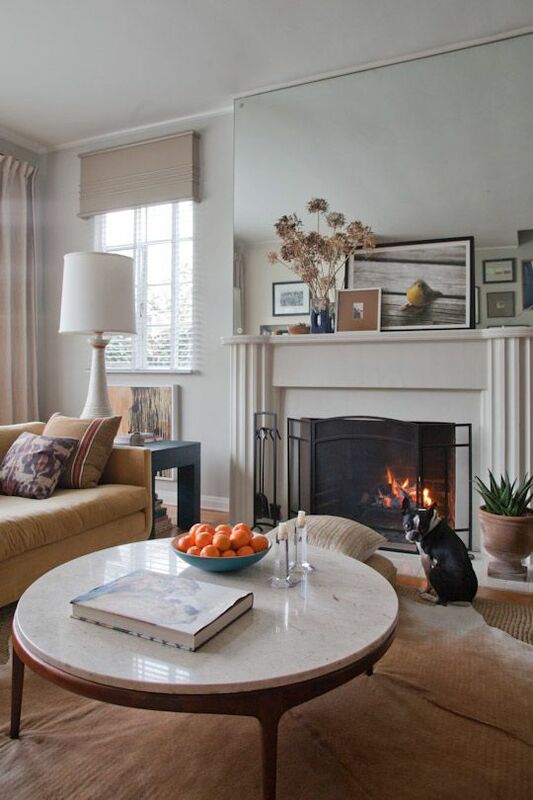 With Bynum Design, my eye is so often trained on the big picture–the bones of a house, the scale, the flooring and wall color. I love every bit of that, but I also enjoy breaking from the big picture to focus on smaller (but still satisfying) projects–like creating a tablescape in my home or putting together a display at D. Luxe Home, our shop at Nashville’s Marathon Village. However, I’m giving the floor to D. Luxe Home co-owner Larry Wilkes for this blog post, as the tabletop is primarily his terrain. He’s the one behind the most inspired visual merchandising we do at our shop; you’ll find him constantly tweaking displays so that different items catch and hold our customers’ interest. This is no easy task in a shop that’s short on space and long on merchandise. Here Larry spills his secrets for creating pitch-perfect tabletops in your own home. I was born into retail and visual merchandising. My family has been in some form of retail my entire life. It’s amazing to me how many people want to open a store and think, “I’m just going to go to market, buy pretty things, put them in my store, and sell them.” It doesn’t work that way. A visual display requires thought and time. It has to tell a cohesive story. It has to grab your attention, but then it also has to hold your attention, provoke you. Every item in a vignette needs to speak to the other; you can’t just pitch everything into a case, stack it up, or lay it on a table, like at a grocery store. Things have to be positioned in such a way that you’re drawn in. Much of this is about trial and error and imagination. I’m always changing things around. Below I’m sharing some of my tricks for busting out of the tabletop blahs, but please don’t take any of my advice too seriously. Above all, have fun with your spaces, always. Think dimensionally. If everything on your table is the same height, it’s not going to provoke much interest, and the eye will likely skim over the whole display. In the shop we use various things as risers (cake plates, for instance) so that nothing feels flat. Spaces—tabletops included—are far more interesting when there are highs and lows. That said, if you don’t feel confident creating a layered arrangement, you can always just rely on symmetry—say, two tall items and two short items—to keep things simple. Symmetry always works. Break with tradition. The typical tabletop is so traditional and so boring. Every market I go to, I see dining room table displays overdecorated to death with chargers and plates and platters and candlesticks. I don’t like a typical tabletop. I don’t like anything traditional. Instead I keep it simple and adorn a dining table with candles, a mirror laid flat like a tray, or something really cool and crusty, like the balusters we have at D. Luxe Home that have many layers of paint chipping off. 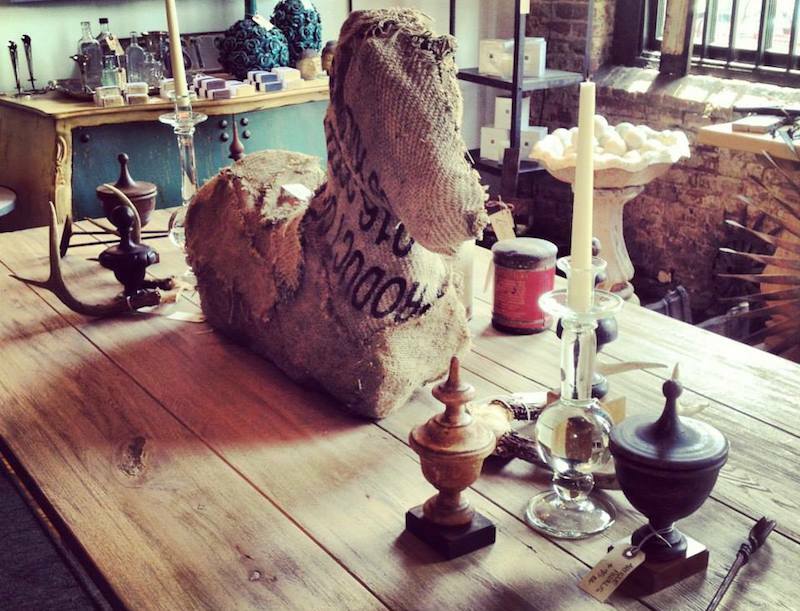 I like to use unexpected items (see the burlap horse above) in unexpected ways. For instance, we’ve been known to repurpose antique brackets as bookends and to create groupings of old architectural elements like corbels and balusters. Small, unique collections are always good–think a display of antique paintbrushes or of vintage baby doll heads. Don’t be afraid to go kooky, as long as it speaks to your interests and vibe. 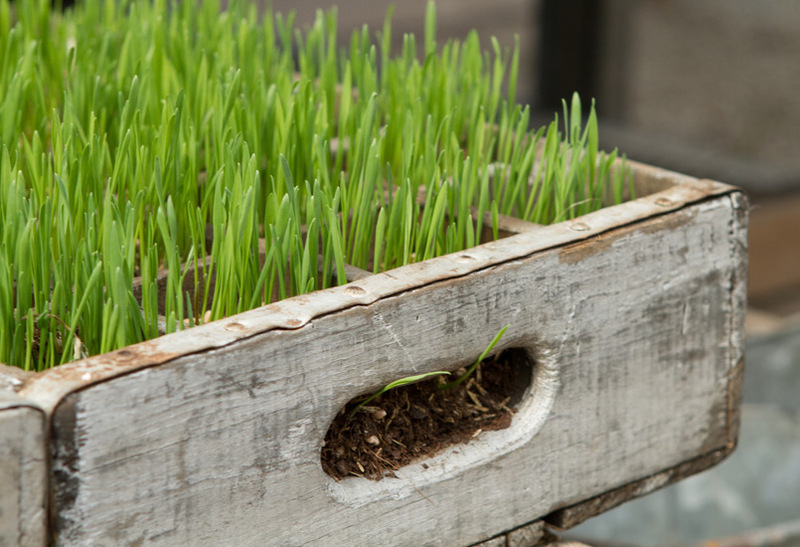 Another idea: Make a departure from fresh flowers and instead center a long tray of bright green wheatgrass on your table. … And fall back on old faithfuls. There are certain accessories that look classic and great most anywhere you put them. It always works to stack books with candles and a lamp. 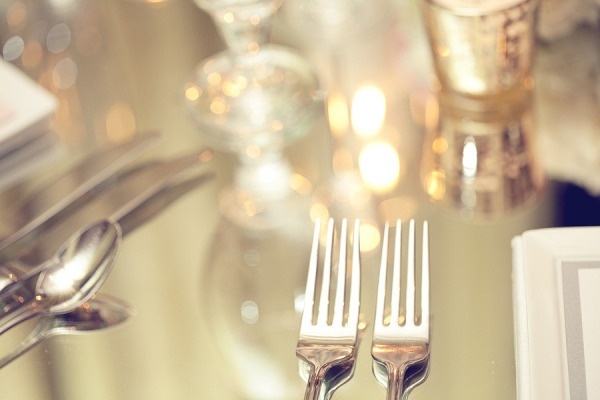 You also can never go wrong with crystal candlesticks and fresh flowers. Consider the tabletop itself. 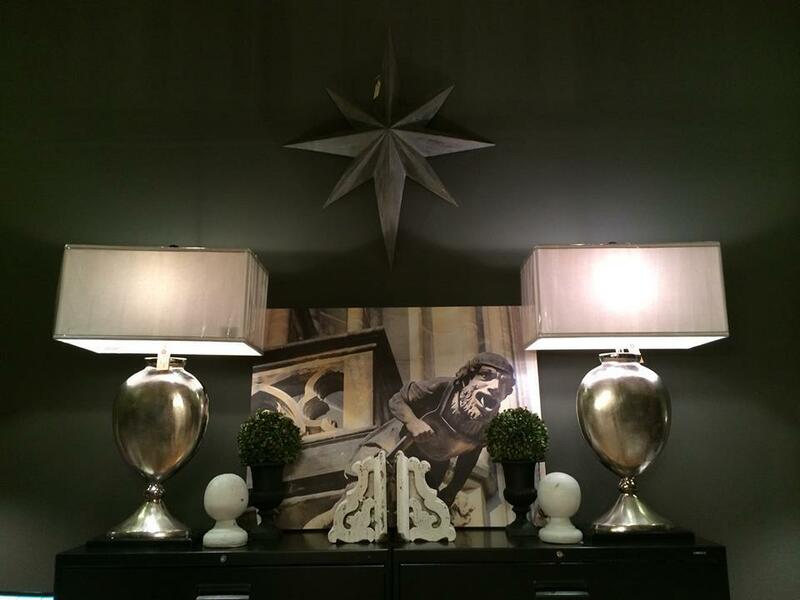 When talking tabletop, it’s worth mentioning that the tabletop itself can be an important part of the vignette. I’m thinking of a mirrored dining table in my home that has a rope-like pattern etched into the backside of the mirror. Because it’s reflective, you don’t have to put a lot of things on it. 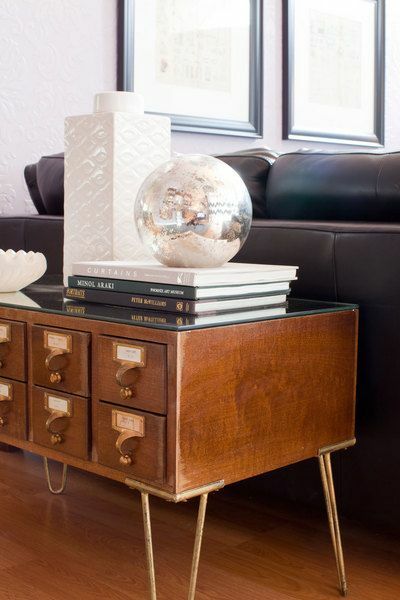 (I love mirrored furniture, but it’s important to keep in mind that a little mirror goes a long way. 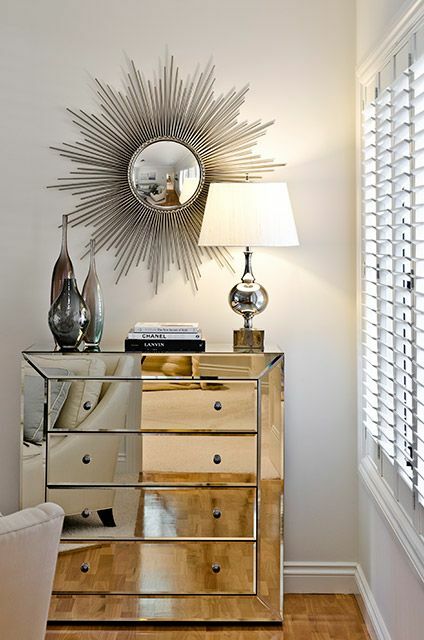 You can’t use a mirrored chest and two mirrored bedside tables; that’s overkill.) We have a mirror-topped table in the shop, too, that imparts a Hollywood vibe and throws shards of light around when you put crystal candlesticks or anything shiny on top of it. Break out the books. Whatever you do, just don’t stand all of your books straight up. You group some together, you stack some on their side, you put stuff on some. It’s like a puzzle. You just keep playing with it until it’s right. Do you have any tricks for a beautiful table display? We’re always looking for new ideas. This entry was posted in Tips and Tricks and tagged D. Luxe Home, larry wilkes, tabletop display, visual merchandising on April 1, 2014 by Ellen Barnes.